It is not just restaurants. As a family, we are always visiting relatives….who don’t have high chairs. We used to balance the kids on our laps while we (attempted) to eat and feed them at the same time. (Obviously that did not go well.) There was internal discussion about buying a highchair for grandma’s house or buying a travel booster or high chair for those times we needed to be on the move. In the end, we did none of the above because we found the perfect compromise. The Bumbo Booster seat. We use it every day at home and when we need to travel, we pack it up and take it with us. It is listed as being for kids 2.5 and up, but we use it with our 14 month old. Granted, she does sit a bit lower at the table, but not enough to be an issue and it allows longevity for when she does get older. If you buy a higher booster, you are going to have to buy another one later when they get taller. I love how there are three safety straps; one for the back of the chair, one for the bottom of the chair and a three point harness for your child. Some of the Boosters out there don’t have one of these or any of these! I also like the fact there is not a leg divider that goes between their legs. (That gets old quick.) The Bumbo Booster Seat features the same durable and easy to clean low density foam construction as the popular Bumbo Floor Seat. I’ve never had a seat clean up so easily! 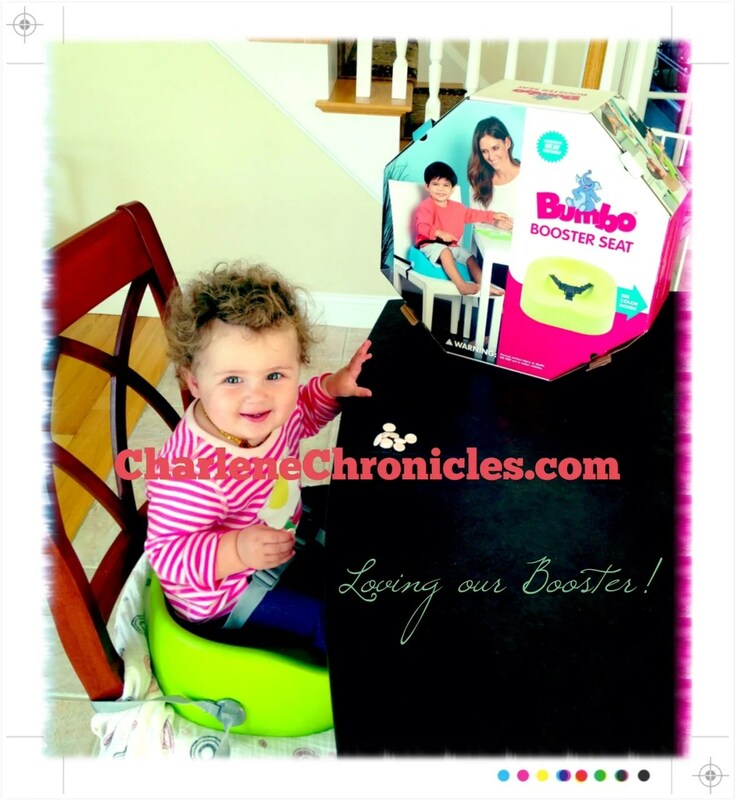 So if you are looking for a highchair for your growing baby, consider moving to the Bumbo Booster. If you are looking for a travel booster seat for eating , look no further either! With a great price point around $40 and fun colors, it is an all around gem!